Every clock made at WAM is unique because the craftsperson designs it according to the shape of the wood. A highlight of many of the clocks is hand-made engraving spelling out the name of an organization. 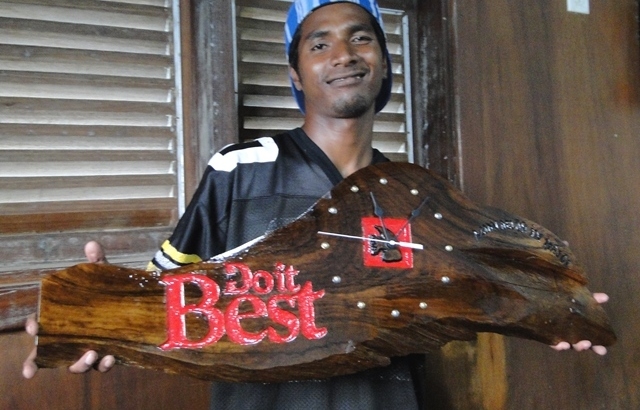 Pictured is former WAM trainee Rinky Hersey with a clock he produced for Majuro hardware store Do It Best.